When I was in college, I had an opportunity to study photojournalism in London for a semester. I didn’t shop much in those days, but one thing I remember spending a lot of time hunting for was the perfect camera bag. I wanted one that would protect my gear but didn’t scream “expensive cameras here.” In other words, I didn’t want to get mugged. 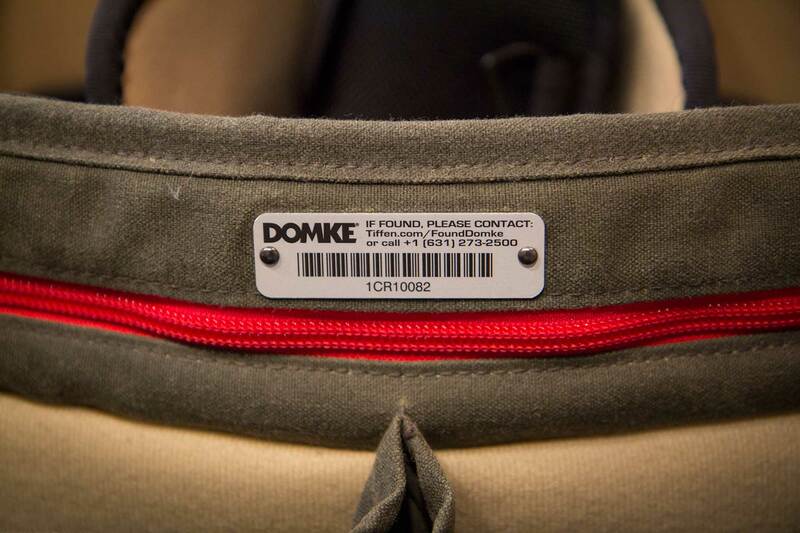 So I bought my first Domke bag, because it resembled a canvas gym bag on the outside – with the guts of a camera bag on the inside. My fears were justified. One night on the last train home to my N. Portobello Road flat, I took some epic photos of a couple making out in a tube station. I knew they were going to be good. Elated, I rewound the film, slung the camera over my shoulder, and marched to my flat, unaware that someone had noticed the camera and started following me. I opened the door to my flat and walked in without waiting for the door to close. I never had time to be scared. The first thing I knew, my face was slamming into the wall. Shocked, I turned to see someone dashing out the door. 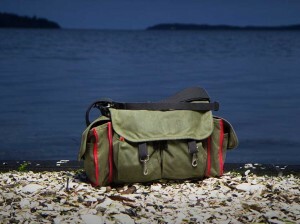 I realized two things instantly: I had my Domke bag over my left shoulder, but I did not have my Nikon over the right. If I had to be mugged any place in the world, London isn’t a bad choice. The thief’s only weapons were surprise and speed. But in that moment all I could appreciate was the fact that my camera was gone. Then I felt into my pocket and remembered I still had the film. I flipped open my Domke bag, where I still had everything I needed to continue shooting: a second body, and my glass. And I thought: had I tucked that camera back into the bag where it belonged, I might still have it. The photos I took that night went on to win awards that helped me land my first newspaper job. I carried that Domke bag with me on every assignment for four years, until I literally wore a hole through the side of the canvas. Domke bags haven’t changed much since then, and for good reason. How do you improve a bag that, by design, isn’t supposed to call attention to itself? 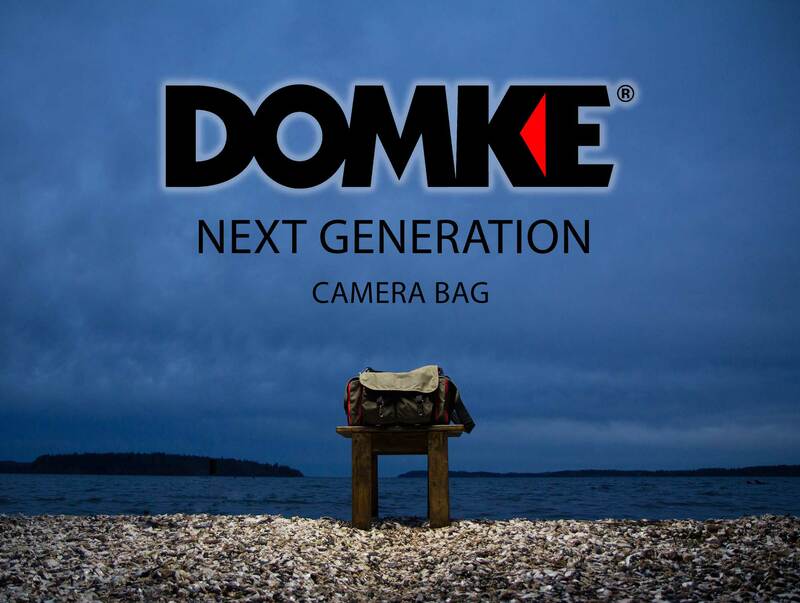 So I was intrigued and a little worried when I heard that Domke was making a new generation of camera bags. When I got an opportunity to review one called The Chronicle, a large bag posing as an item of military surplus, I jumped on it. The first thing I noticed as I pulled the bag out of the box is the material. 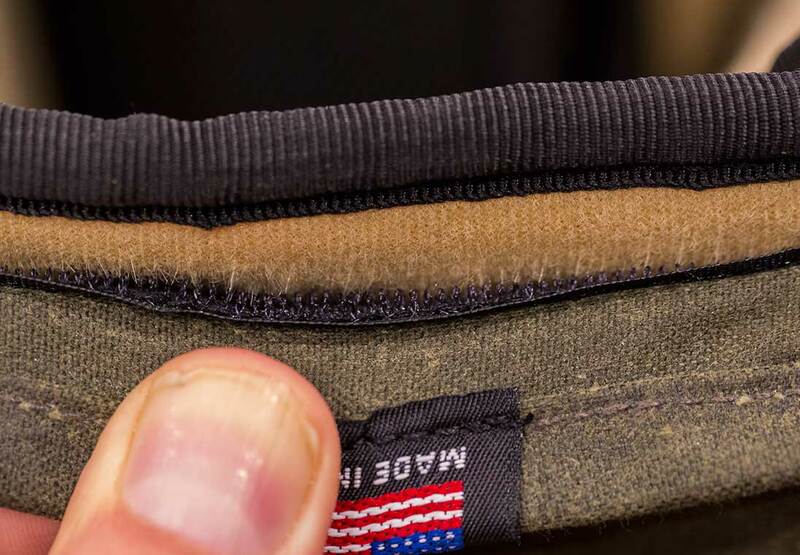 It’s made from the same waxy, waterproof stuff that Aussie cowboy slickers are made from. At a glance the bag still looks pretty unassuming. Which is what I would hope. But details matter. And that is where things get interesting. The first detail I noticed was the velcro. Some very clever designer has solved a problem that I didn’t even know I had (yet one that has definitely plagued me over the years). You know that ripping sound it makes every time you open a pocket? 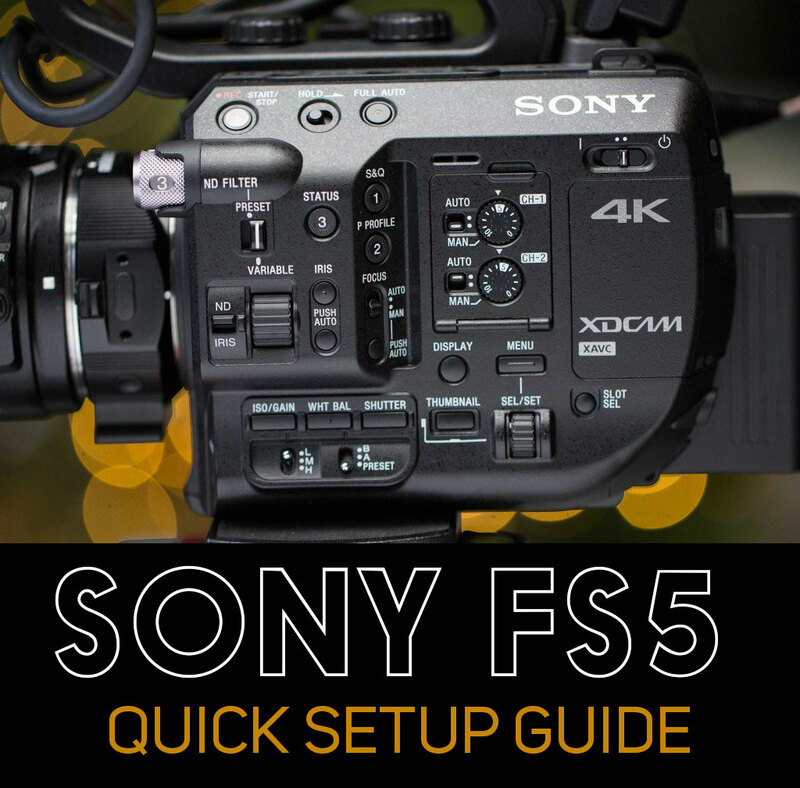 Any time you’re on a film set with sound rolling, you can forget about opening those pockets. Sound recording and velcro don’t mix. Well, Domke has a solution. 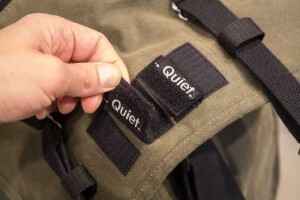 You can now fold the velcro back on itself, reversing it to reveal a “quiet” label. In this configuration, the velcro won’t stick, rendering it completely quiet. So clever! All velcro closures on the next-gen bag has this new feature. 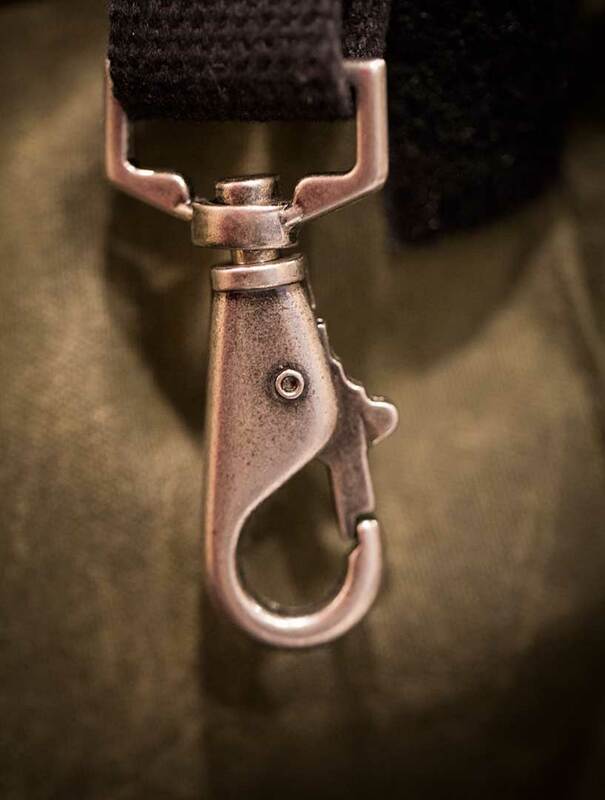 The sturdy metal clips that have always secured the bag’s top flap have a minor improvement. They are slightly more heavy duty than on my old bags, and have a more ergonomic thumb release. In practice I’ve found that these snaps are a bit of a pain, so I often carry my bag with the snaps open, so I can quickly get in and out of the bag. But that leaves the contents less secure. A tradeoff, right? No more. This new bag allows me to have it both ways. 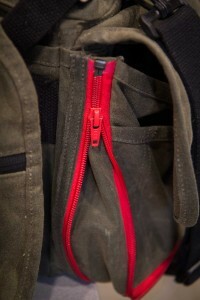 A zipper running down the middle of the top flap provides access to the contents of the bag when it is clipped shut. This is a great solution. 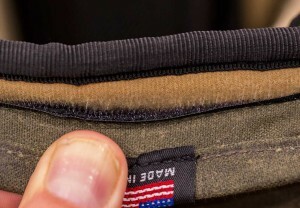 Another clever detail: side pockets now have a zipper expansion option. Zipping them open provides twice the space. Closing them makes the bag much more compact. 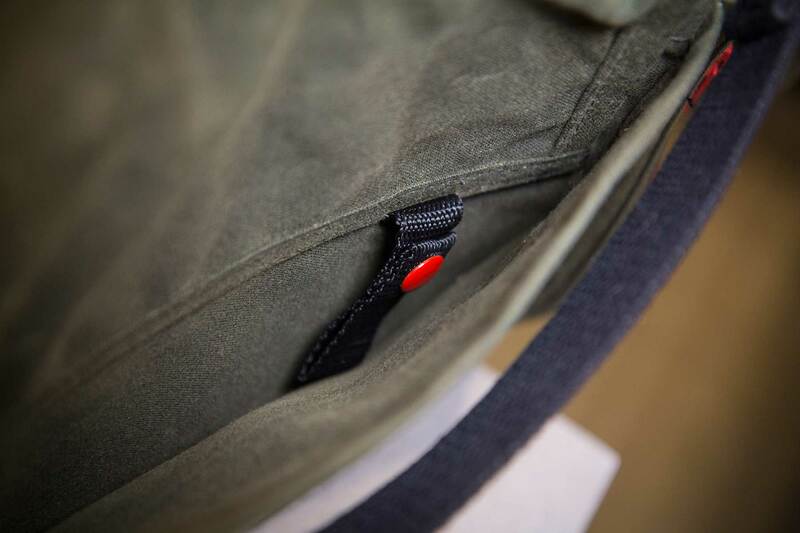 The front pockets have a snap that pops open to achieve a similar expansion, providing extra volume only when needed. Do these details matter? Well, with the pockets fully expanded, I was able to fit in a change of clothes on a recent trip to Canada, allowing me to take just one bag. This would not have been possible with my previous Domke bag, which I still own. I like to travel light, so it’s definitely working for me! The bag also includes a bar-coded ID tag. Ostensibly this is a way for you to be reunited with a lost bag, should some nice honest person find it. But actually it’s a clever way for Tiffen, the parent company of Domke, to get a ton of information about you for their mailing list. The 9 required fields on the signup form (including home address and phone number) includes the text “Email marketing you can trust” below the signup button. So you can trust you’ll be receiving spam from the 8 or 9 companies Tiffen owns if you hit submit. Luckily they’ve provided a low-tech solution: a key-ring snap on the inside of the back flap, where you could attach a name tag. It’s a little hard to find, though. It took me three months of using the bag before I stumbled upon it while examining it closely for this review. The inside of the back has a nice partitioning system, with several dividers you can lock into place with velcro. 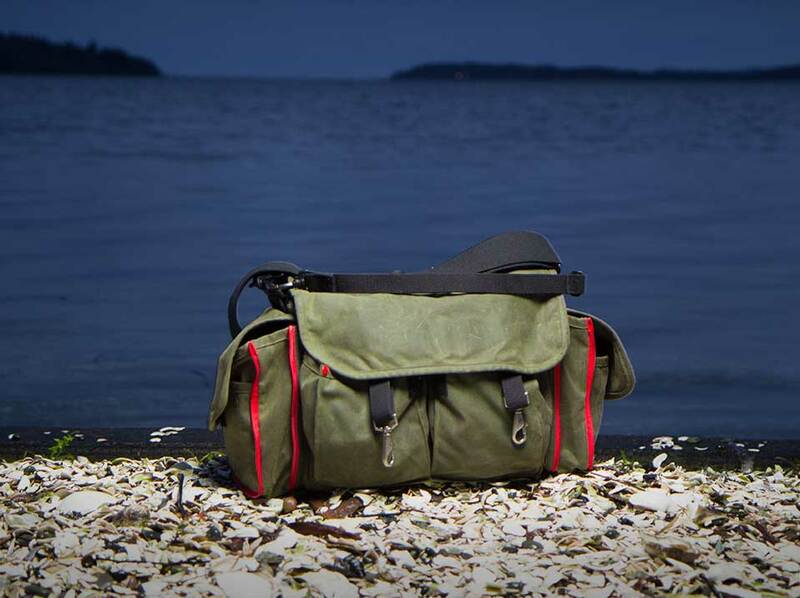 You can quickly configure the bag to carry different types of camera and lens combinations. 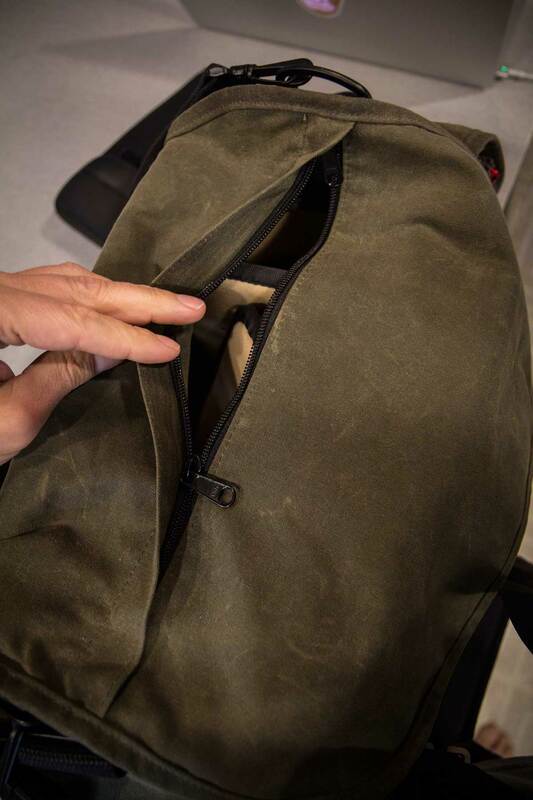 My old bag had a fixed divider, so it wouldn’t have been possible to, for example, reconfigure it to carry an FS700. With this bag, you can. 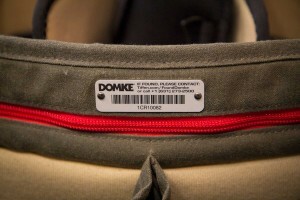 The signature Domke bag straps are unchanged. I love the simple, unpadded wide strap with it’s shoulder-gripping rubber cord woven into the stitching. 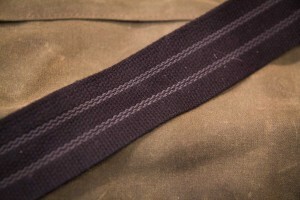 All shoulder straps slip off, though, so it’s not foolproof. I was carrying this bag on my shoulder while juggling two other bags going into the Paris Metro last December, and it slipped off at just the right time to get caught in the turnstile. Those doors don’t open once they’re closed! Luckily a passenger on the other side freed my bag and then kindly handed it over the gate to me. Which brings me to my conclusion. 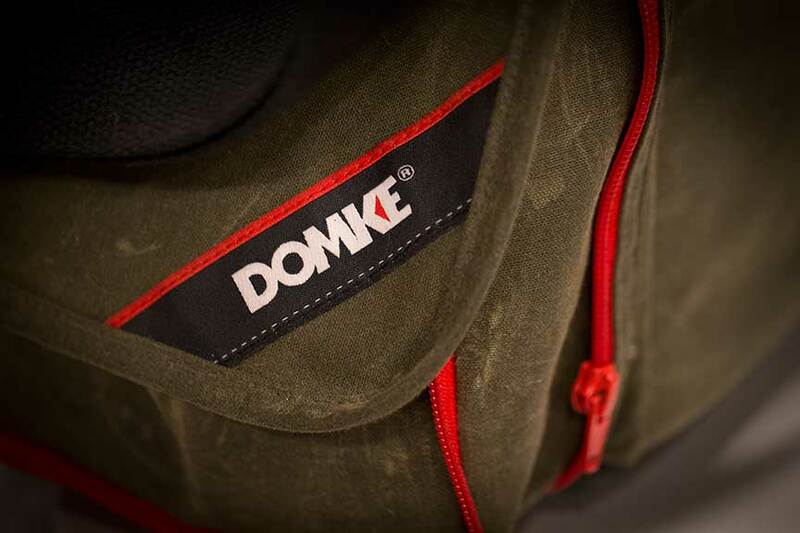 What I most love about this new Domke bag is that it keeps it’s simple appearances, while adding some welcome features that make it even more pleasurable to use. 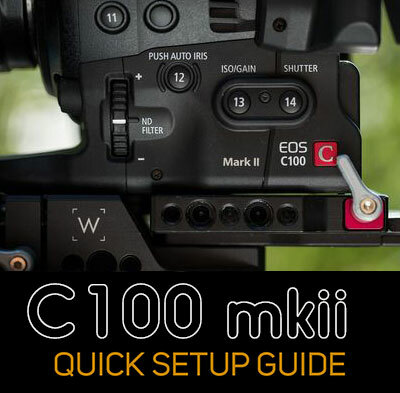 This entry was posted in Product reviews on February 23, 2015 by Dan McComb.